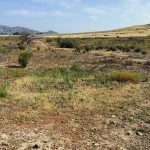 This project consisted of 50 acres of mitigation, irrigation and plant establishment in Vista, California. Specific tasks included irrigation installation and maintenance, erosion control, weeding, soil imprinting, plant procurement, plant installation and plant establishment. The project was completed on schedule and within budget in November of 2015. Natures Image is now contracted with Caltrans to complete a three-year plant establishment phase, scheduled for completion in March of 2020.